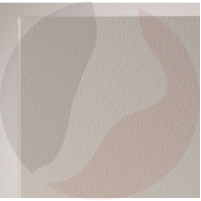 Flexel infrared heating panels provide gentle natural warmth. This radiant warmth is cost effective and efficient comfort as either primary or complimentary heating in local or hard to heat areas. The panels offer improved thermal comfort conditions in the home, office or industrial environments combined with high energy efficiency compared with traditional central heating. The Ecosun U+ infrared heater is a universal heating panel, suitable for both wall and ceiling mounting. The panels are maintenance free, with a special textured paint finish. The outer thermocrystal surface is based on quartz crystals - the texture significantly increases the surface area and the performance of the panel.The surface area of the Ecosun U+ is 2.5 times greater than the equivalent smooth surface. As standard, the Ecosun U+ infrared heater is white, although a range of colours are available as special orders. These infrared heaters are designed to work with our range of underfloor heating thermostats. The Ecosun U+ offers many advantages over convection or warm air heating systems. They provide localised heating, so only the area required is warmed. If mounted on the ceiling, the entire wall and floor space is available to be used. This also reduces the risk of accidental damage. The infrared quartz heater is also not affected by ventilation or air extration systems, resulting in a highly efficient heating system. If the Ecosun U+ is fitted into the ceiling this should be a minimum height of 2.5m and 4.0m maximum height.